Here is an early Christmas present for Star Trek fans! William Shatner (aka Captain Kirk from the original Star Trek television series that aired from 1966 - 1969) has released an album full of Christmas carols. SHATNER CLAUS has the Star Trek legend performing 13 holiday classics accompanied by a variety of celebrities throughout the album including Brad Paisley, Henry Rollins, and Iggy Pop among others. Songs range from a punk rock version of Jingle Bells to the country ditty Blue Christmas and of course the album includes Rudolph the Red-Nosed Reindeer. 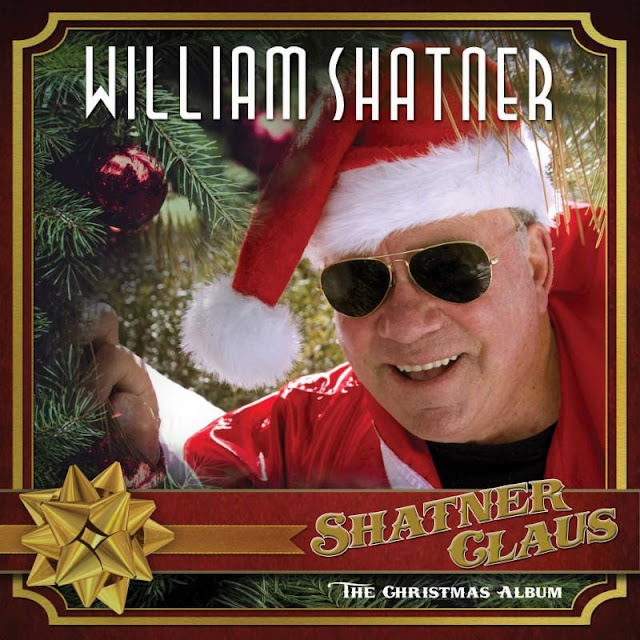 You can purchase an audio CD or vinyl record of SHATNER CLAUS from amazon.com, a digital version from iTunes, or autographed albums from williamshatner.com. SHATNER CLAUS can also be listened to for FREE by tuning into Spotify.com.